I love using google calendar to keep my life organized! Previously, I always sent a hard copy of a class calendar home each month. But then I always found I had to add events or things changed which meant more communication and quite honestly, a big hassle! I have since graduated to an online calendar which is located on my blog. 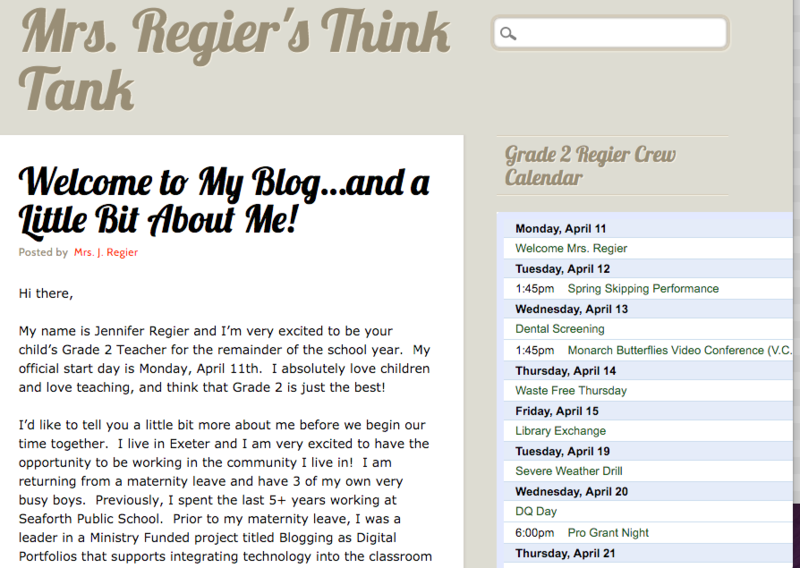 I love this because it is quick, I can add an event from any of my devices to the class calendar and most importantly, parents continue to be connected to my classroom blog! As a busy parent myself, I was thinking how great it would be if parents could link up my class calendar to their own devices instead of having to add things in manually to their own calendars….I then remembered that a couple years ago I had a tech savvy parent who added my class calendar to his device so I sent a quick email and voila! the step by step instructions for creating and sharing Google calendars! I’ve attached the link below in case anyone is interested. In my introduction letter to my parents (I am just coming back from maternity leave), I also share instructions for adding the calendar from devices other than Apple. Welcome Back Jenn! I’m excited to see what you do this year. You always have great ideas, including this post. I’m toying with the idea of a google calendar on my blog this year, and I’m going to keep doing the paper one too. I’ve noticed that it is the one of the things I have displayed in the classroom that EVERYONE is excited about and interested in. I think it helps my early readers and developing math students make sense of a few things independently. I also use the monthly calendar as the background on my desktop so that it is frequently on display on the smart board… I suppose my approach isn’t completely old school! Great to be back…thanks for the warm welcome! I use the google calendar mainly for communication to parents but I do find the kids like to look at it too. We also have a classroom calendar that we build together with events so they can look at it daily. The cool thing is we use the class blog to create this calendar so the kids are getting access to both. I love the idea of having your calendar on the desktop! Thanks for sharing.